Word clouds are generally not all that helpful given how the words are taken out of their context (sentences). In certain settings, however, they do provide meaningful information. Hashtags are one of those contexts — they are meant to be single words. With that, here is a word cloud generated using all of the hashtags included in all 9,010 tweets sent with the #ica14 hashtag as of Monday, May 26th @ 1pm EST. Here is a first cloud, with the #ica14 tag excluded. To help highlight non-section tags, here is a version omitting any tag with “ica” in it. The #qualpolcomm taggers were highly active. 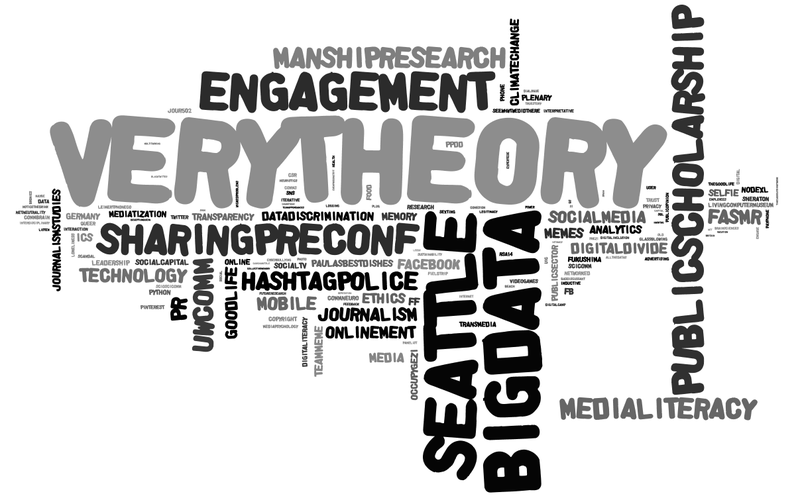 To help see other topics, here’s a final tag cloud without #qualpolcomm. I’ll leave the analysis up to you. Some interesting patterns here! If anyone is interested in the Python used to generate this let me know.